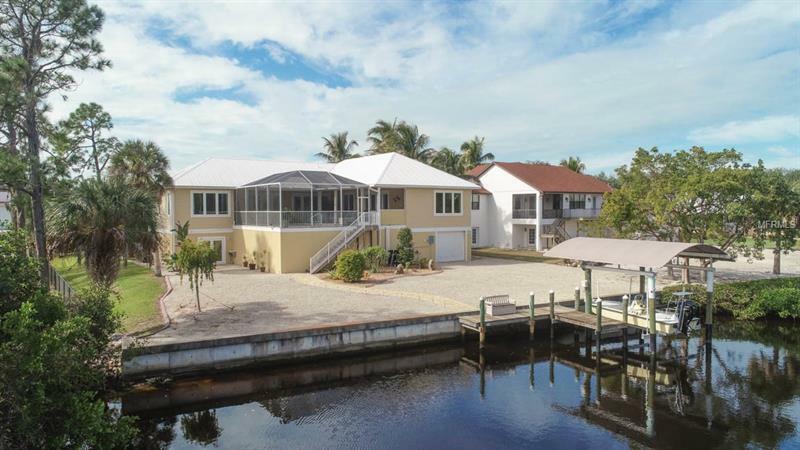 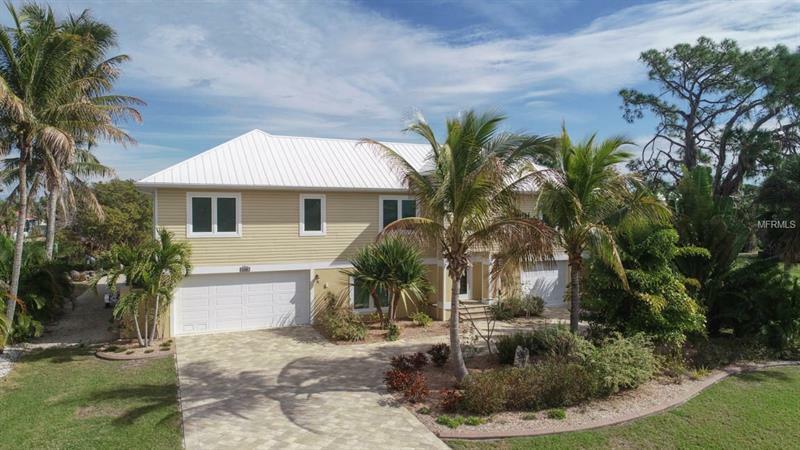 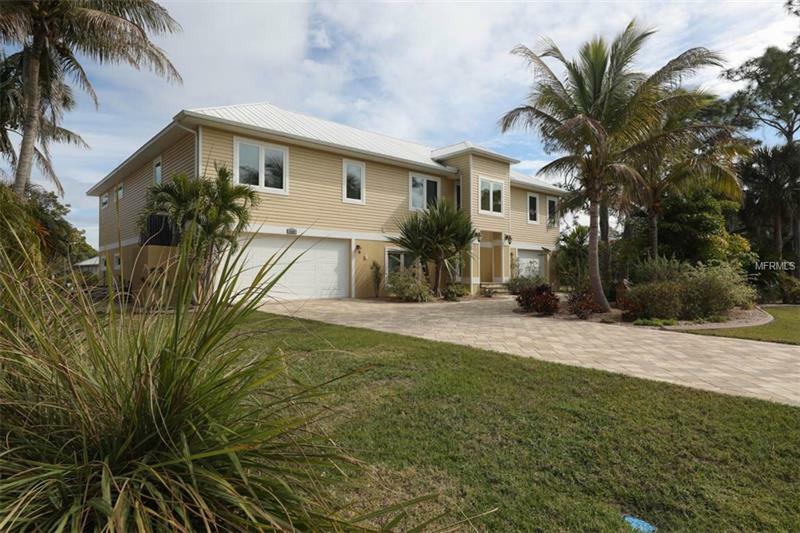 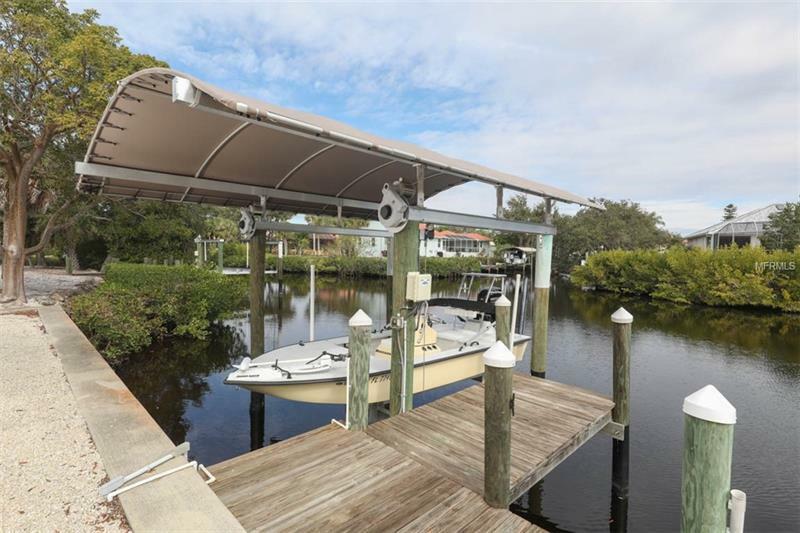 Built in 2015 this custom home is built on an over 15000 square foot sea walled waterfront lot with covered boat dock and lift! 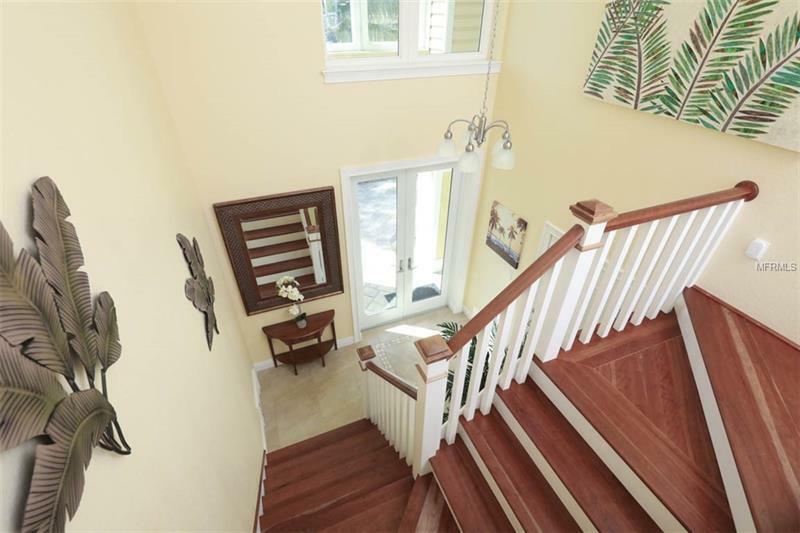 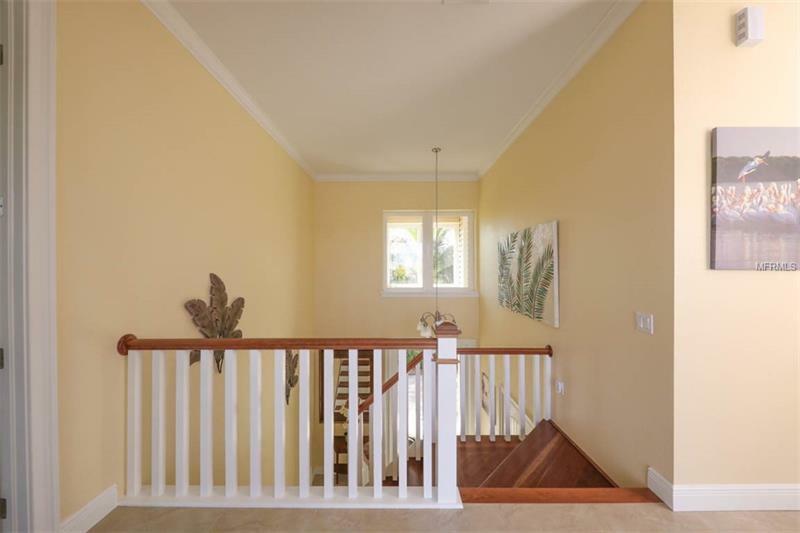 Enter the home through the front entry covered atrium with cherry wood stairs or utilize the ground floor elevator to take you to the living areas where everything is included on one level. 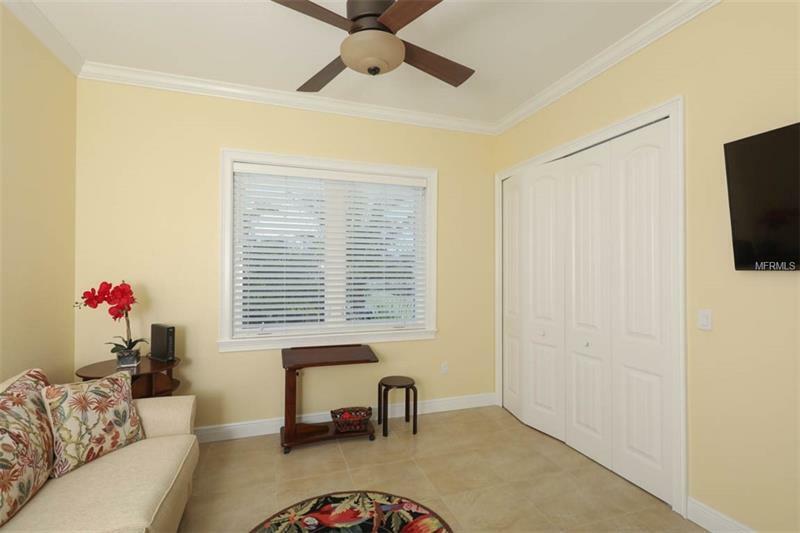 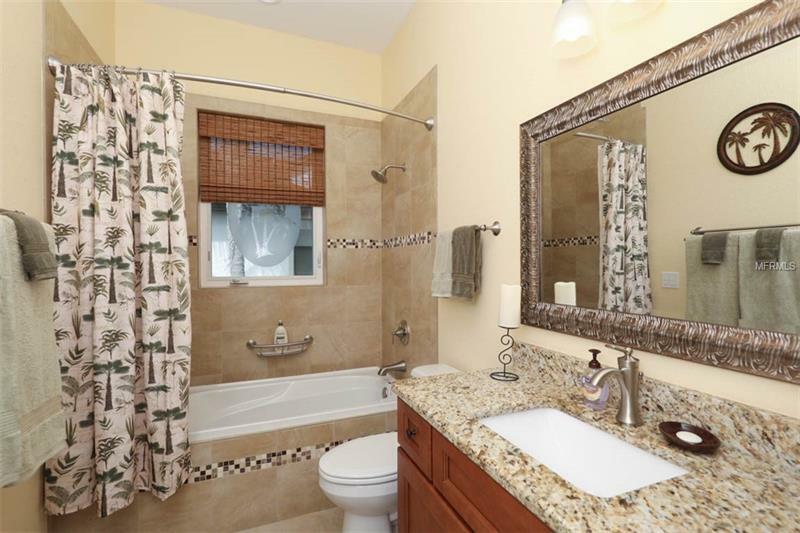 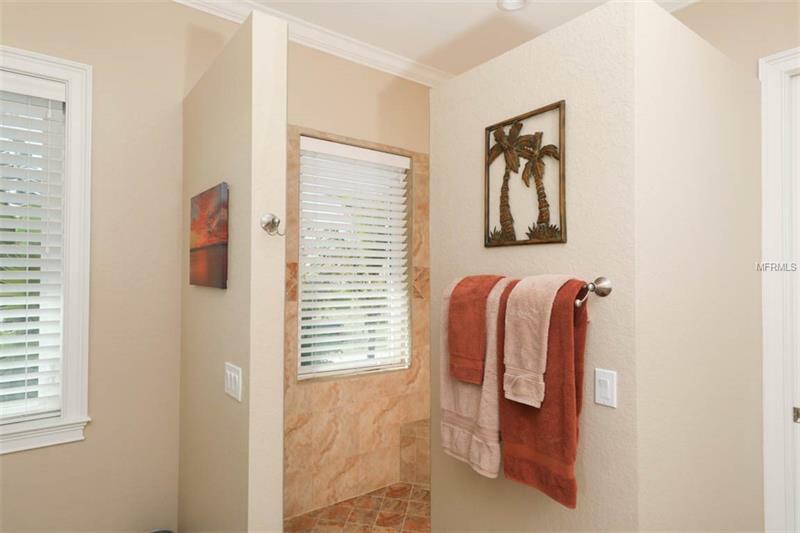 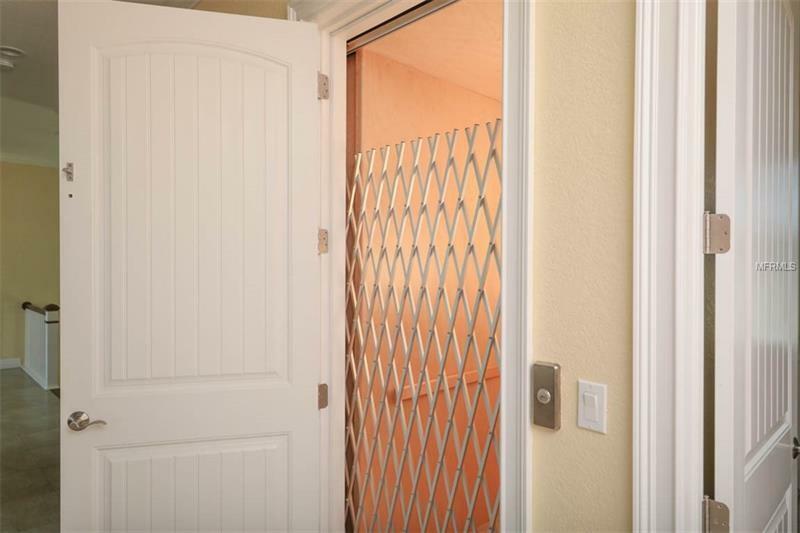 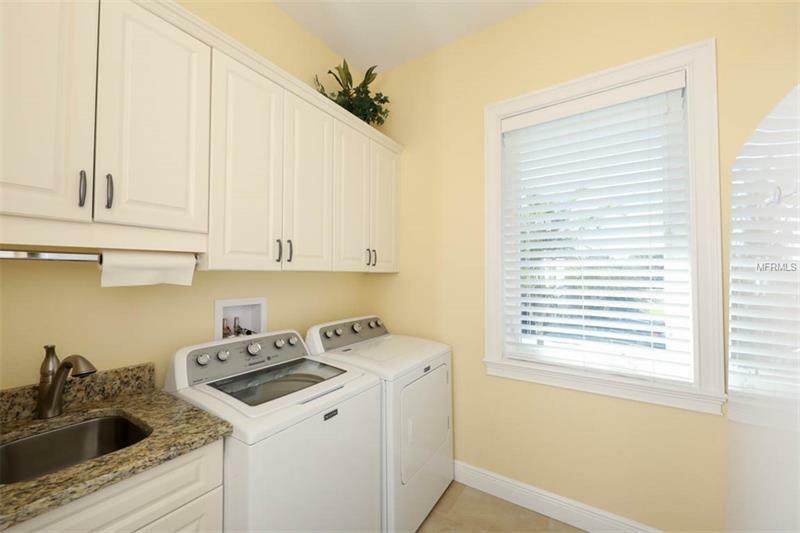 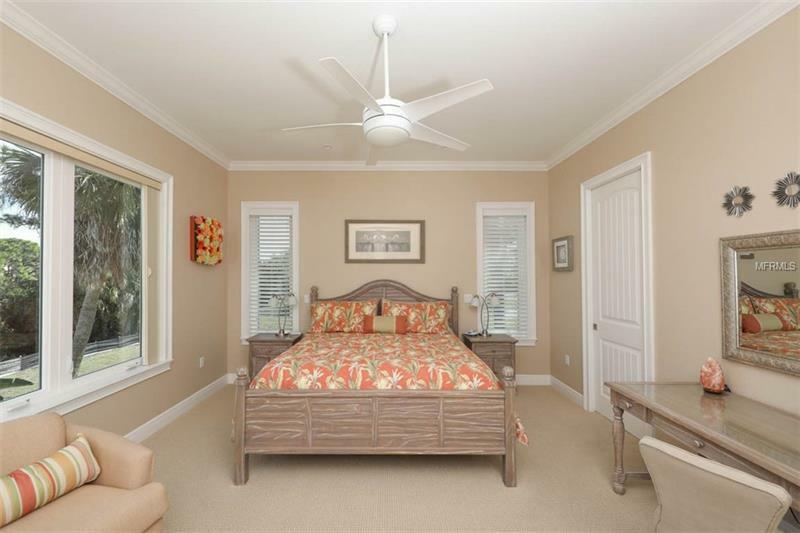 With porcelain tile flooring throughout and carpet in the bedrooms the home has numerous upgraded finishes. 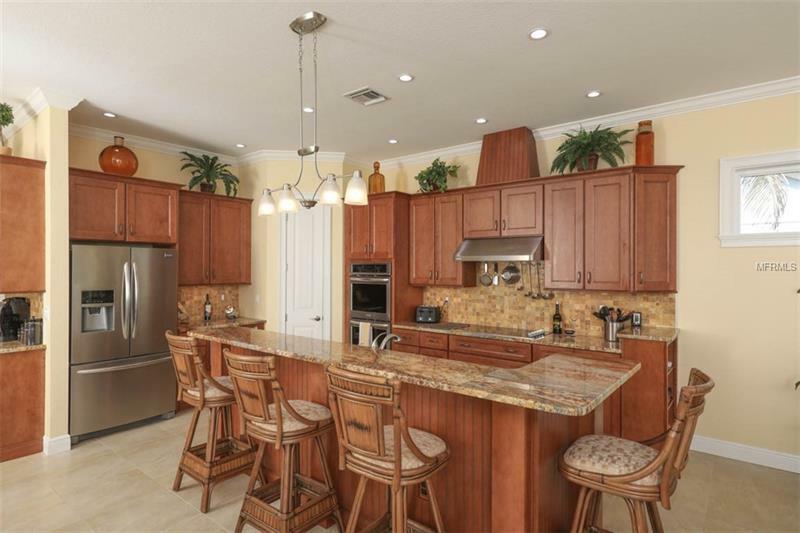 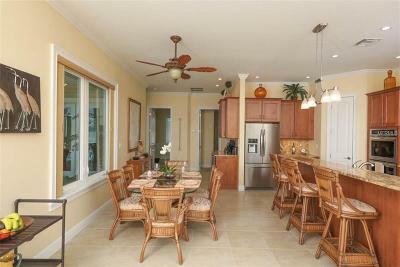 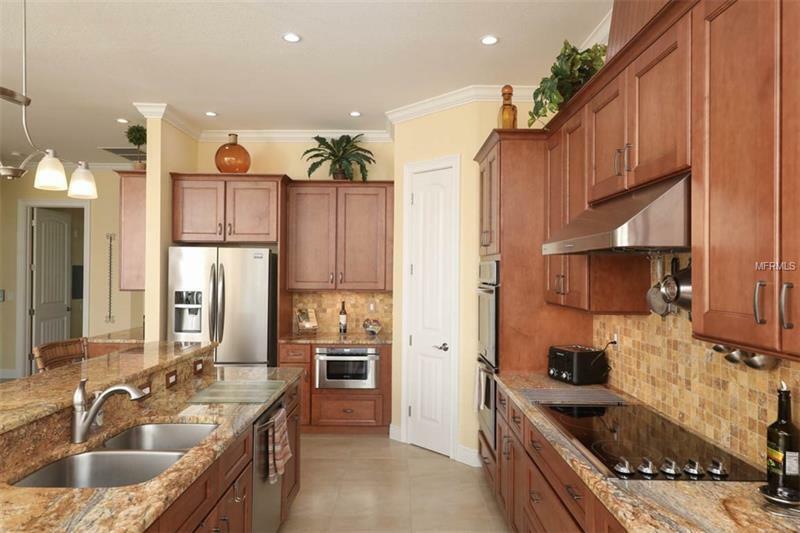 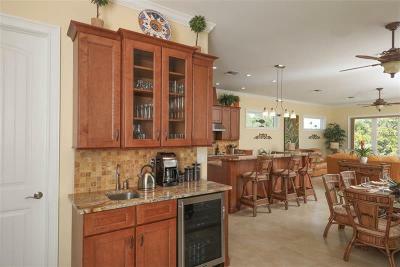 Custom kitchen with large pantry granite countertops island and wet bar with stainless steel appliances and wine cooler. 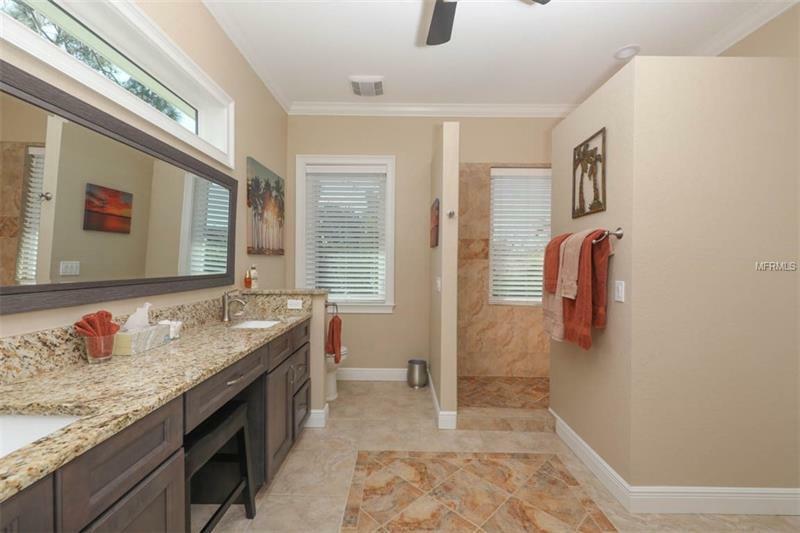 There are 3 bedrooms and 2 baths a large open living room and dining room all with volume ceilings and crown molding and a full room laundry sink and spacious upper cabinet storage. 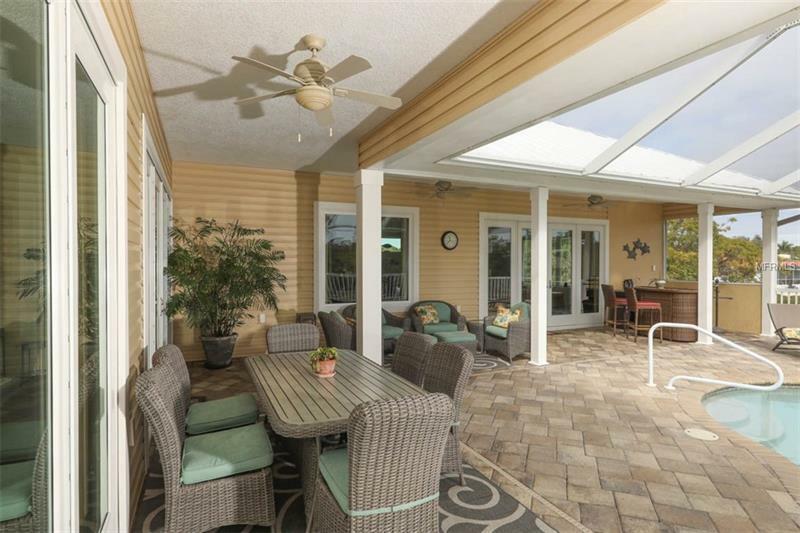 Just step out from the living area and you are instantly enjoying the outdoor lifestyle. 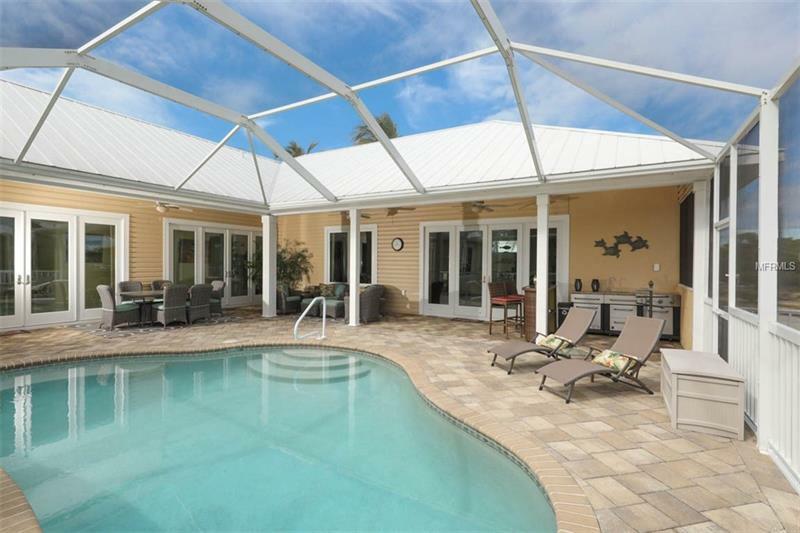 Paver bricks surround a lighted and heated pool with jets. 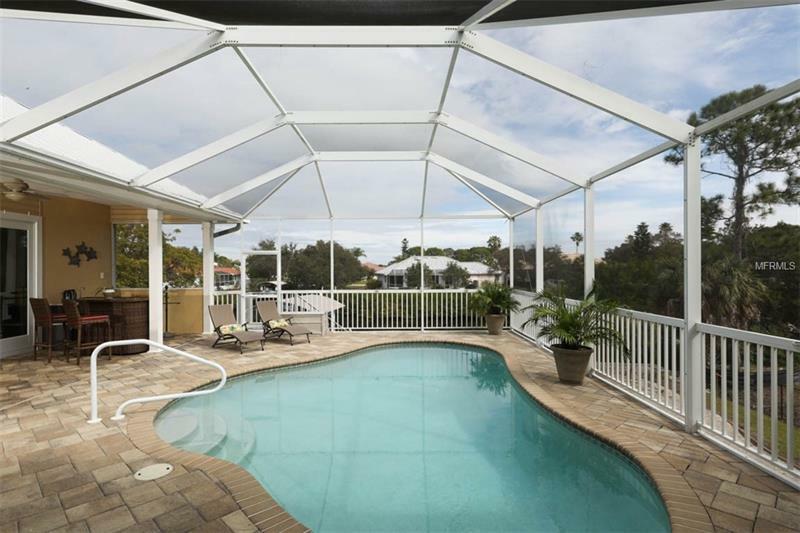 The pool and deck are screened with a lanai cage and there is also ample covered patio for furniture as well as a bar area with built in grill. 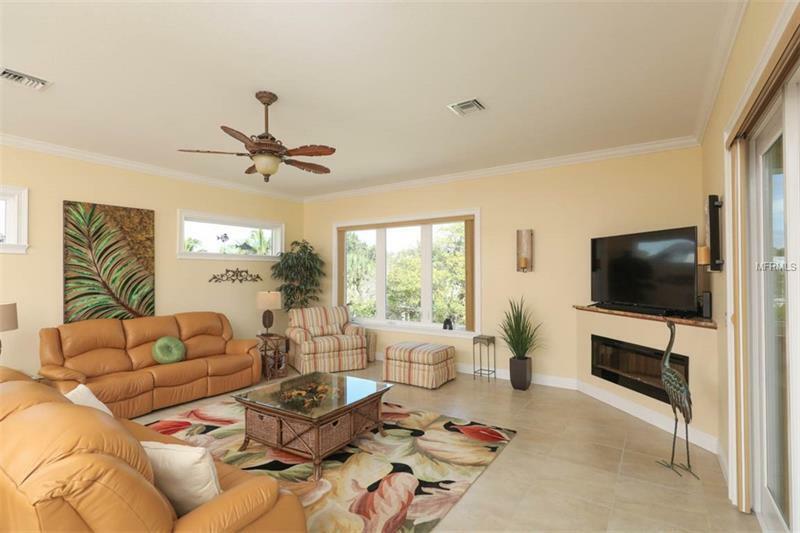 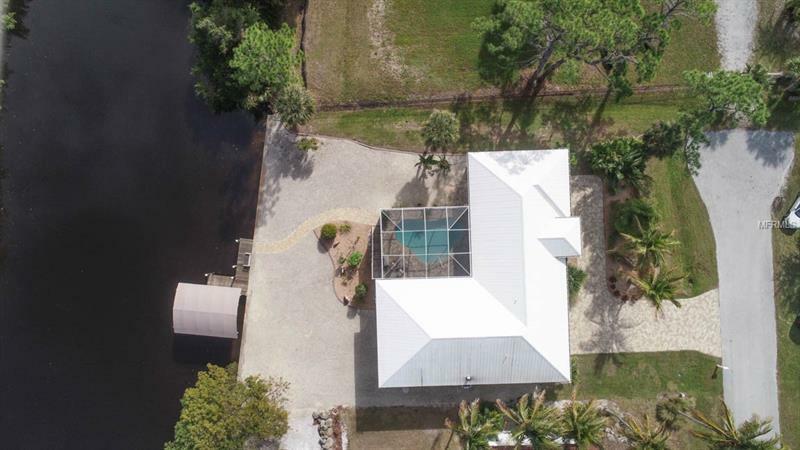 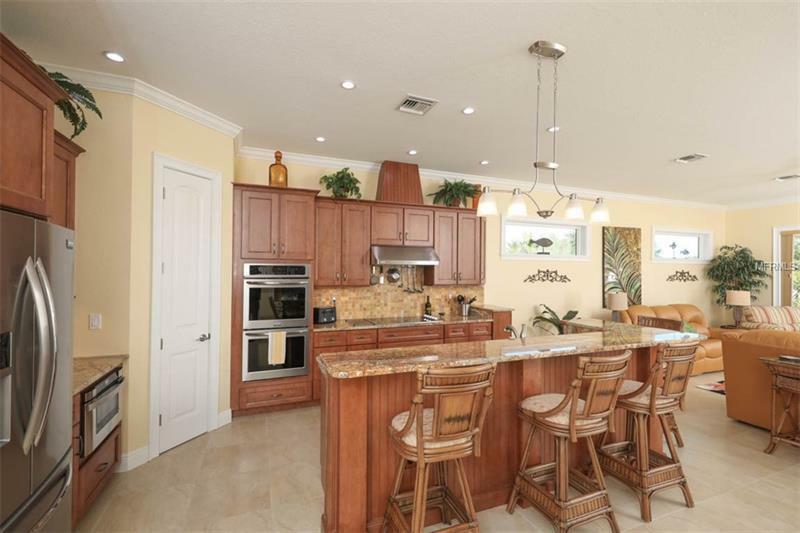 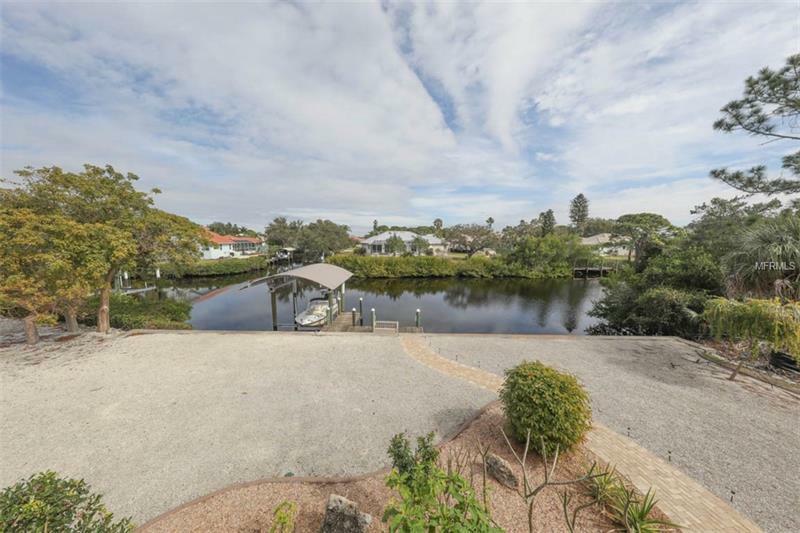 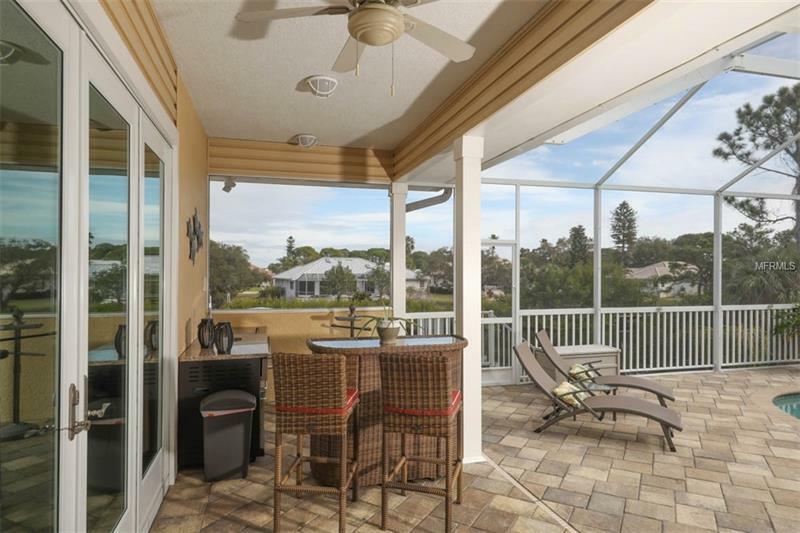 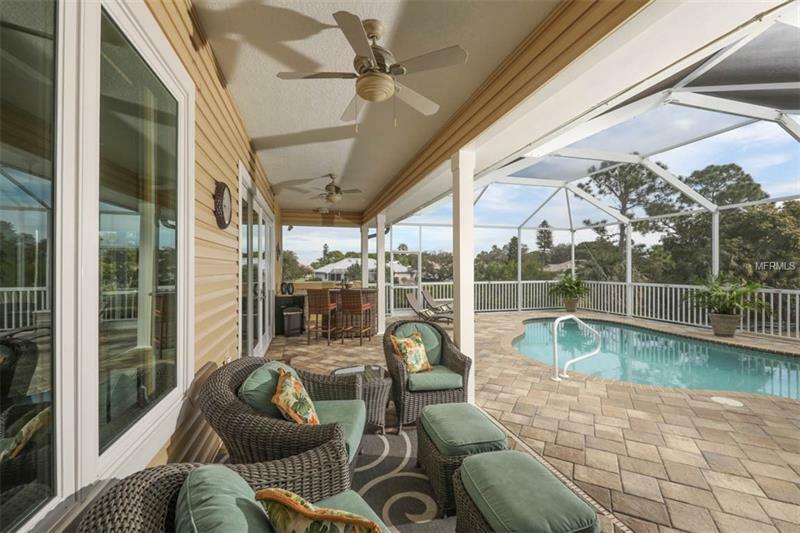 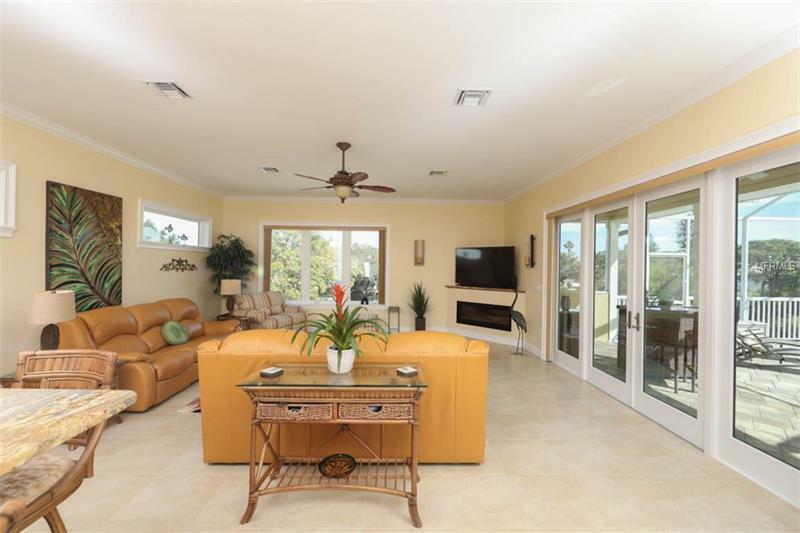 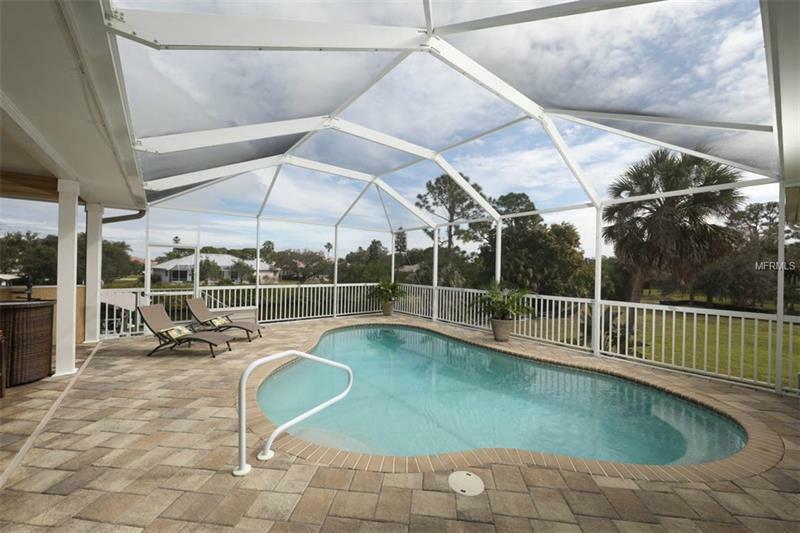 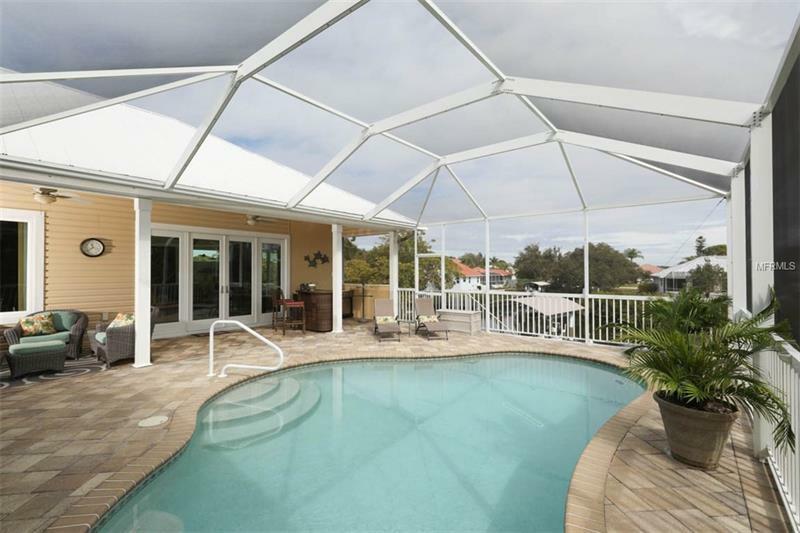 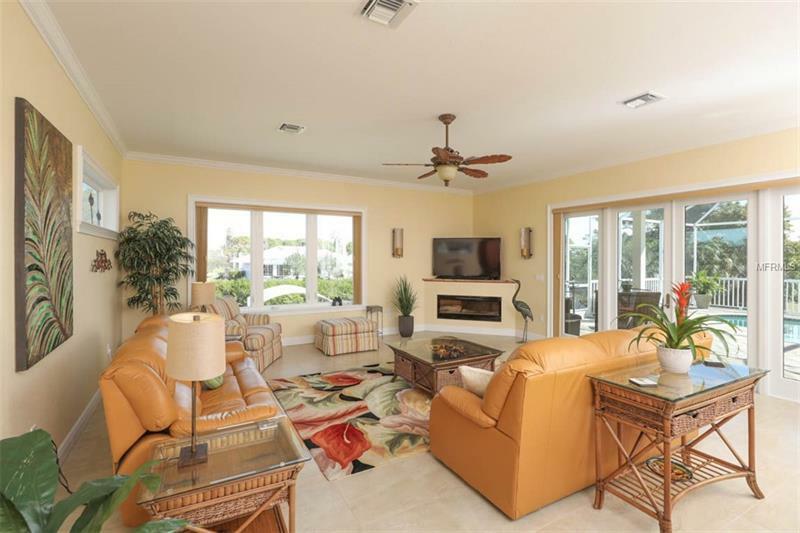 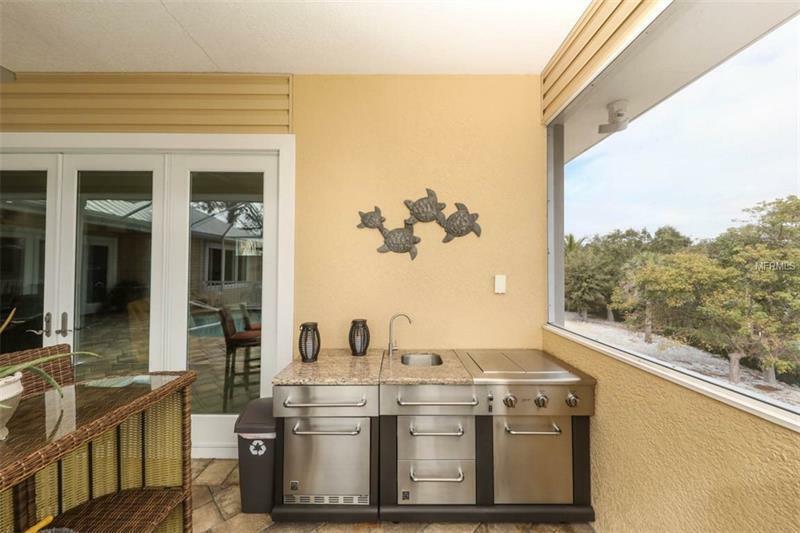 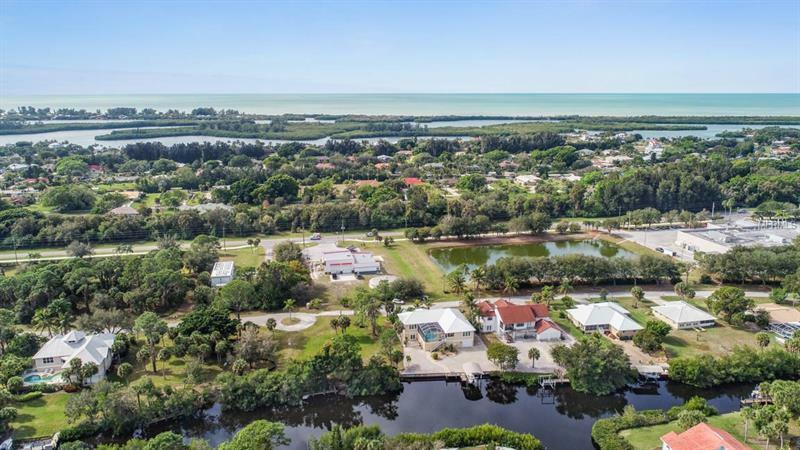 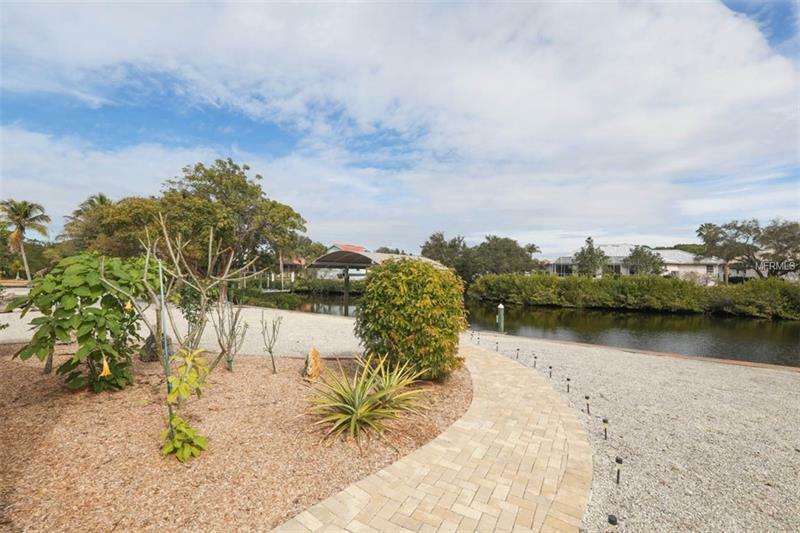 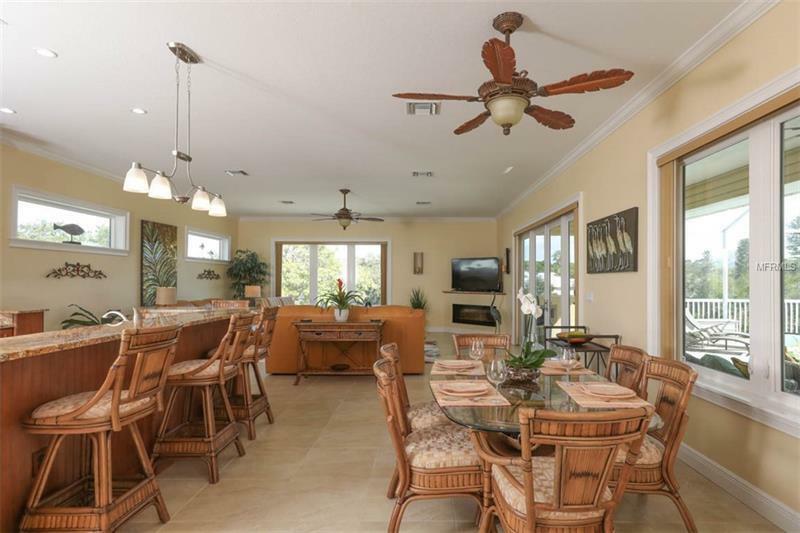 Beautiful views from the Eagles nesting to the manatees swimming this home is perfect for the nature enthusiast. 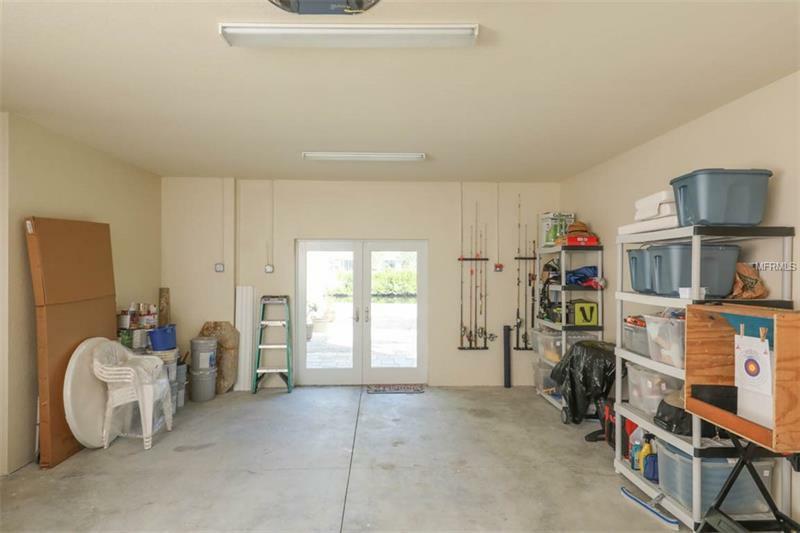 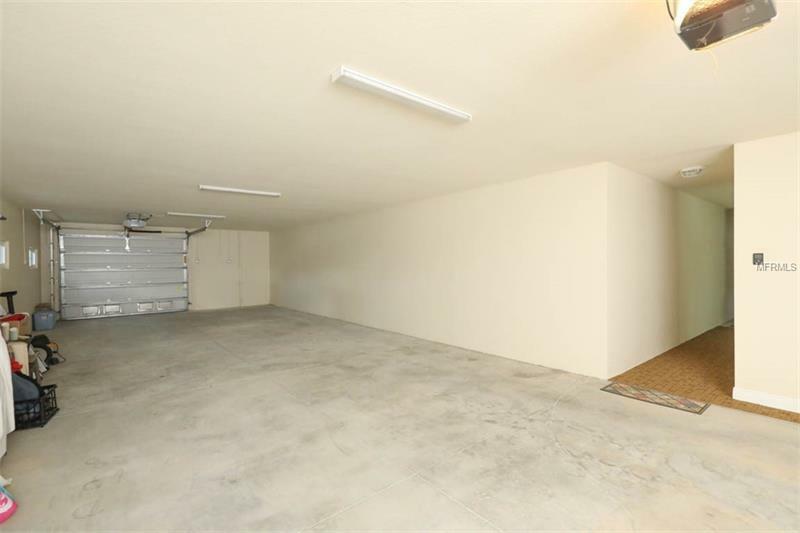 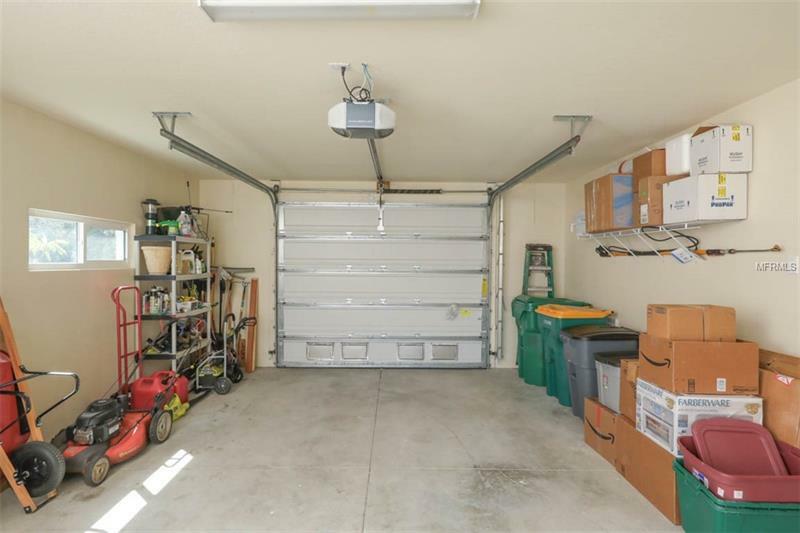 Two large ground floor garages offer a tremendous amount of storage and space for cars boat on trailer and kayaks or other water toys. 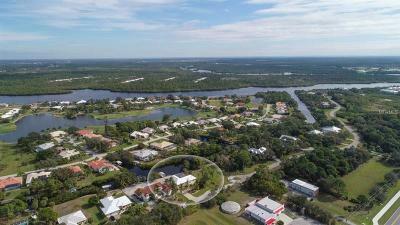 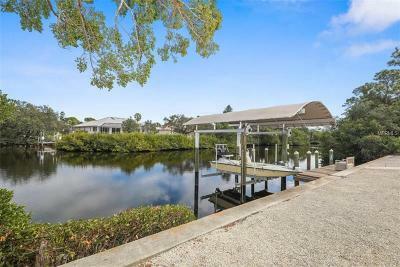 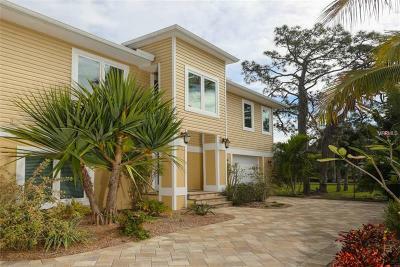 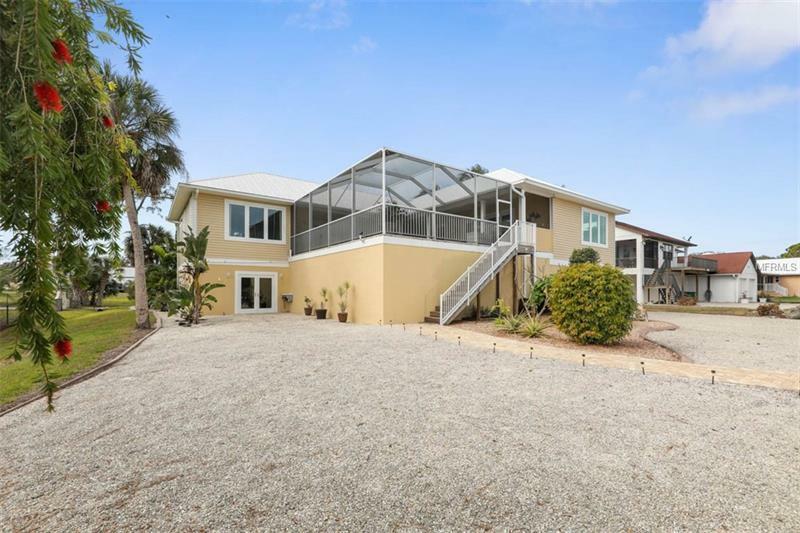 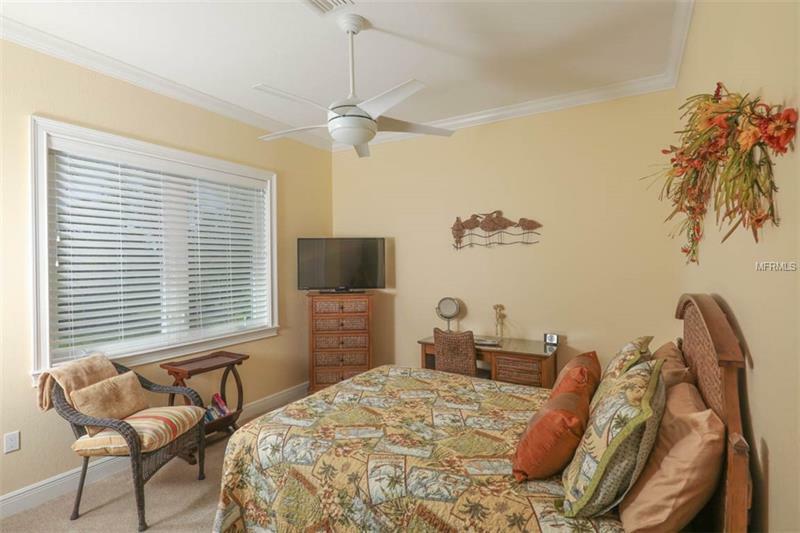 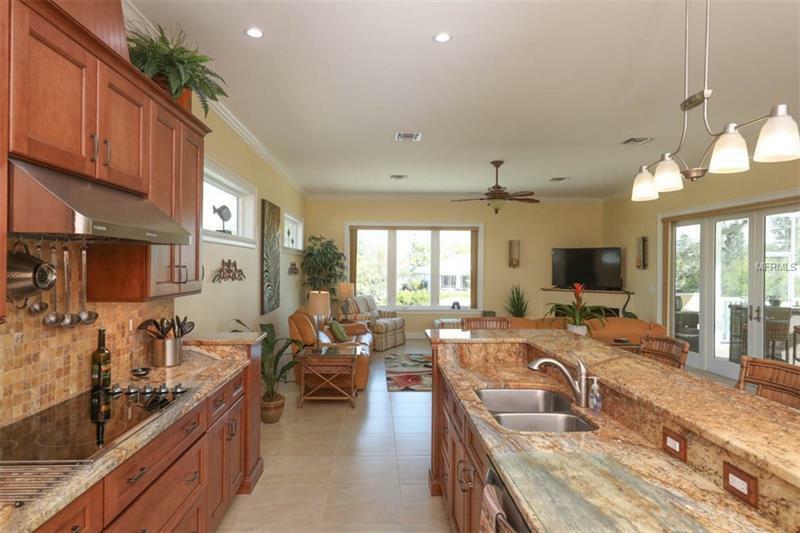 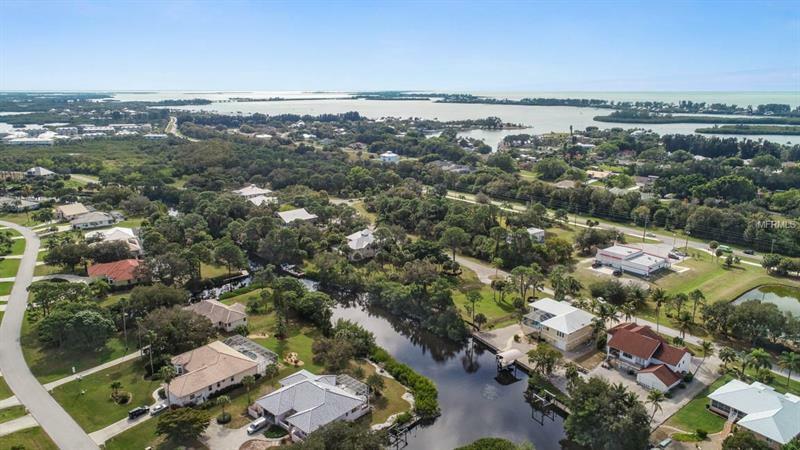 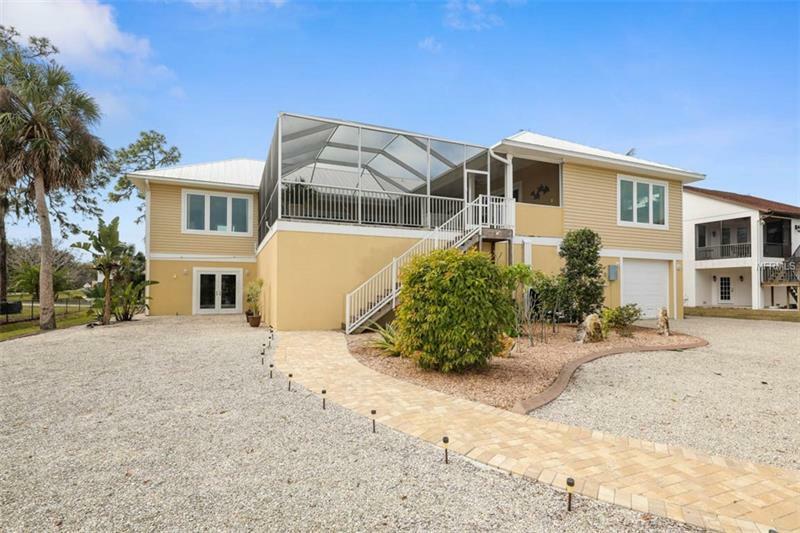 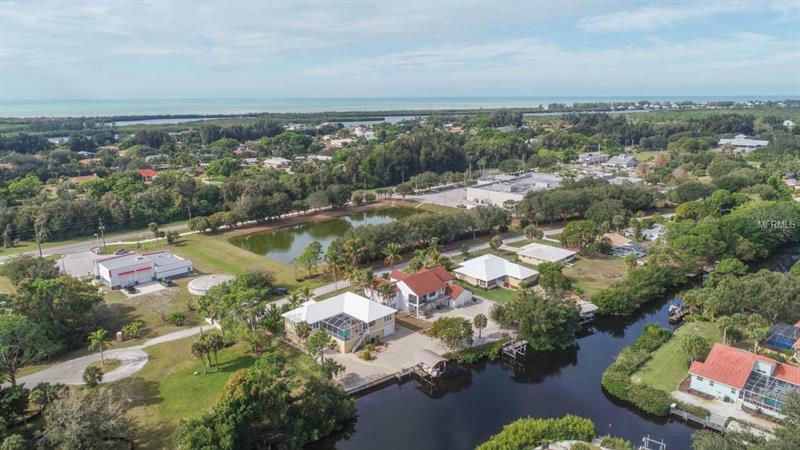 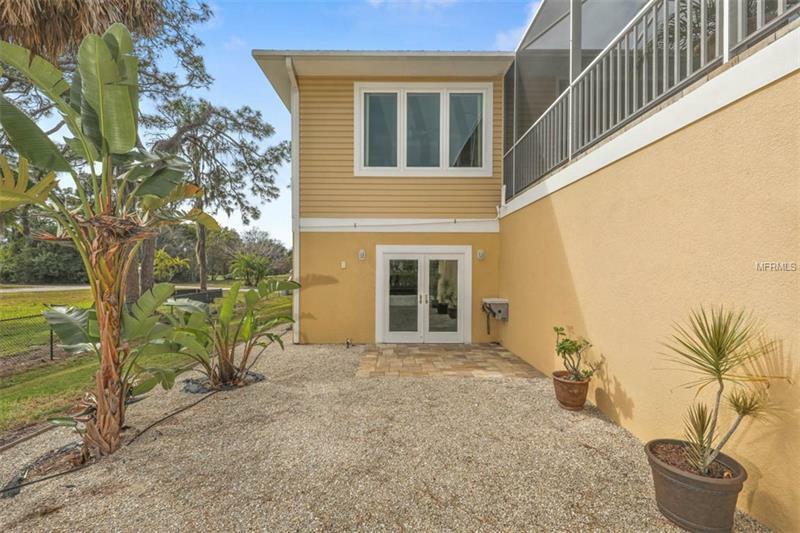 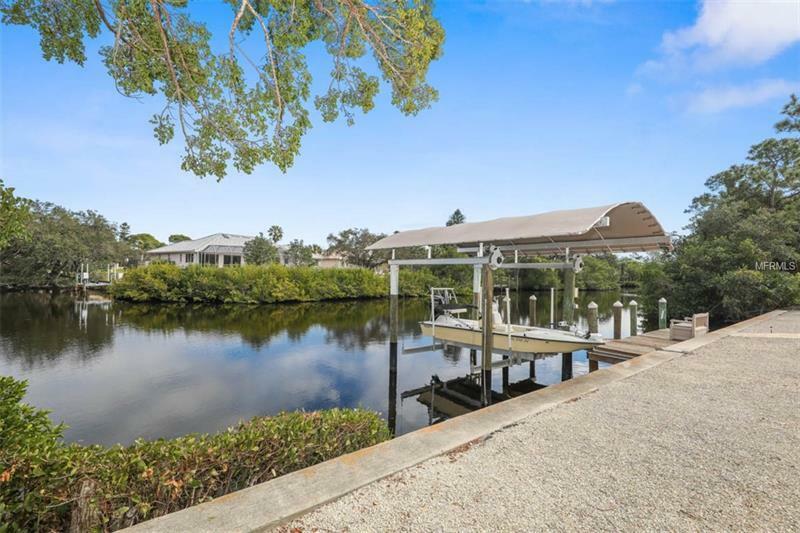 Located at the end of a quiet cul de sac the home is conveniently located near beaches golf courses and some of the best fishing in the world starts from your own private dock with shallow water access to the ICW and Gulf of Mexico.